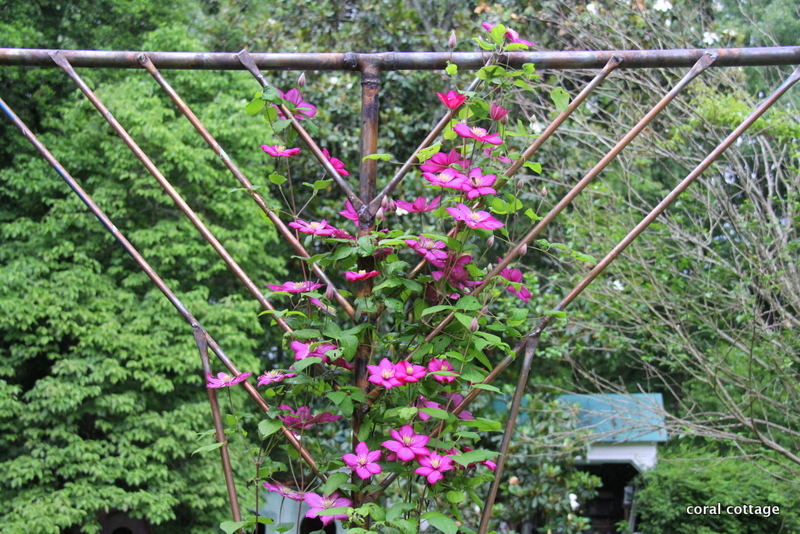 A couple of months ago Mr. Cottage dug through our scrap copper pile and came up with the idea to make a trellis for one of our clematis plants that was sprawling all over where it shouldn’t. 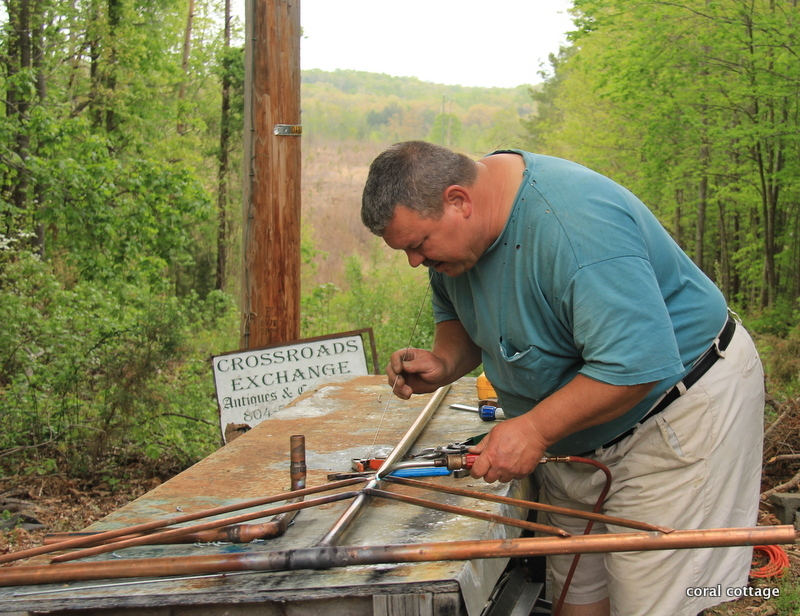 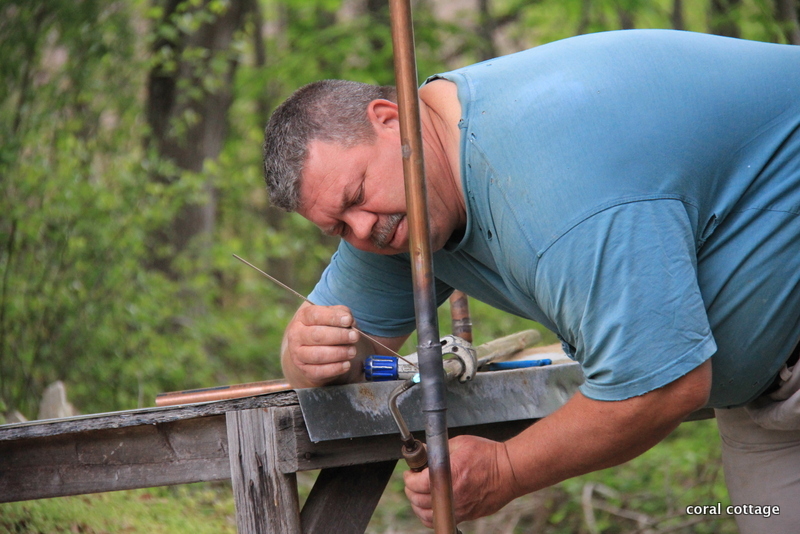 He played around with a couple of different designs and then he got to work soldering everything in place. 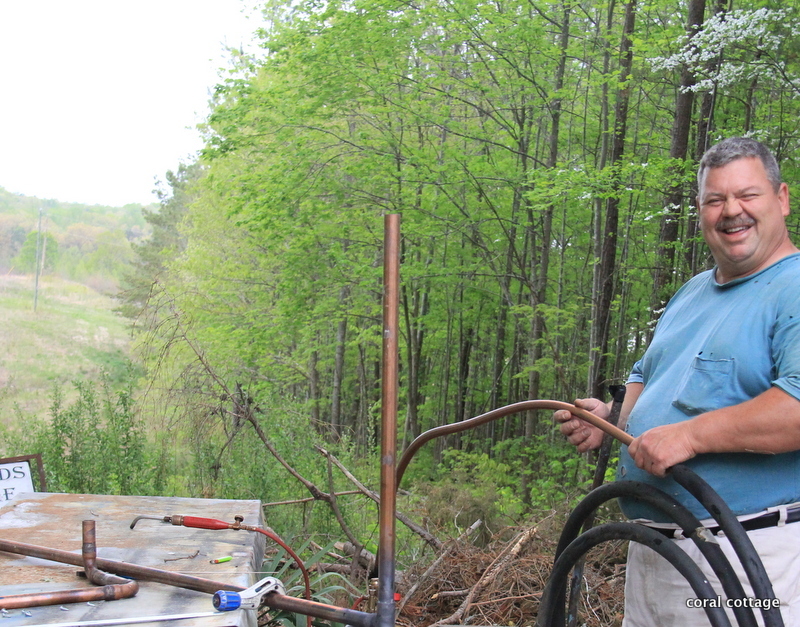 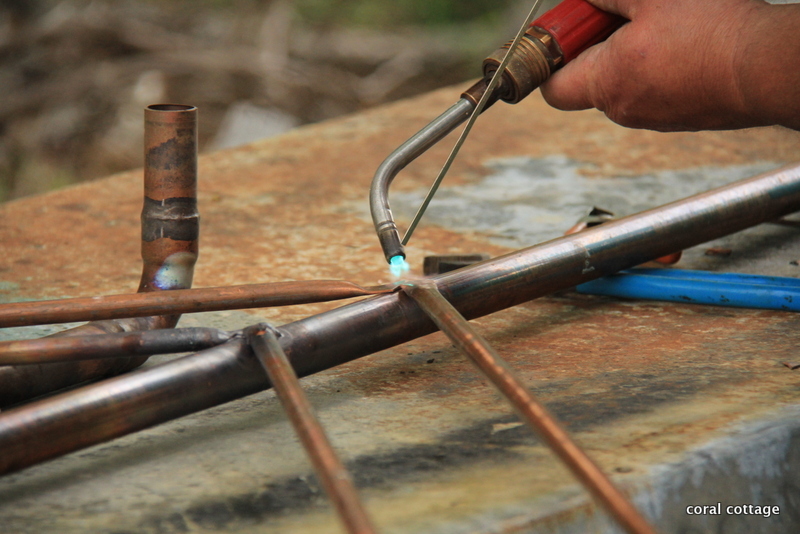 He used silver solder, even though it is quite a bit more expensive; because he says that the silver is a lot stronger and he felt it would hold up better over time. 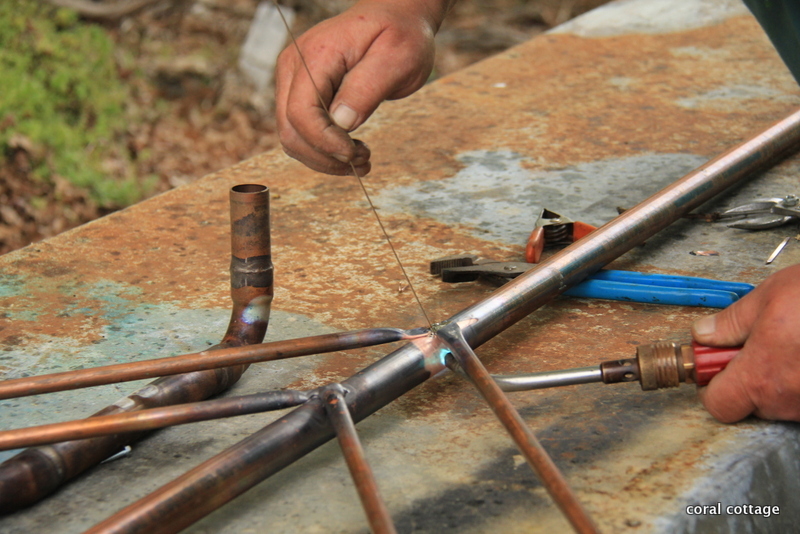 Putting the finished design in place. 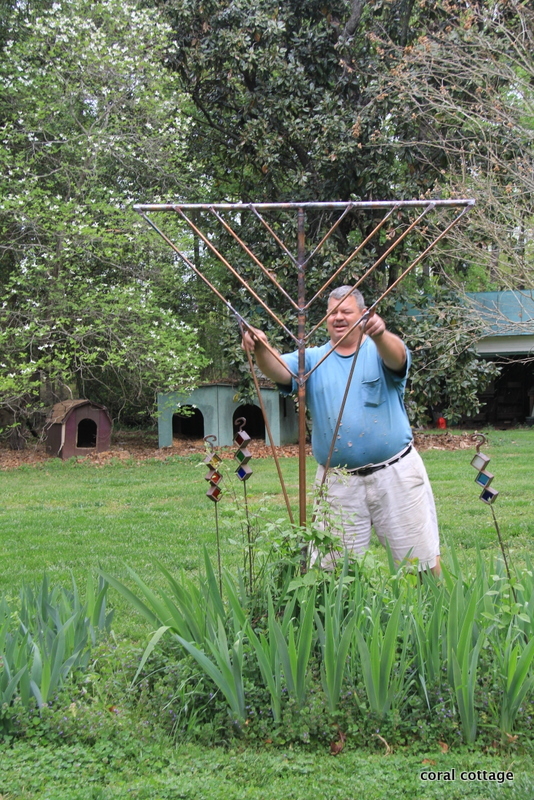 Not bad for his first attempt – don’t you think? 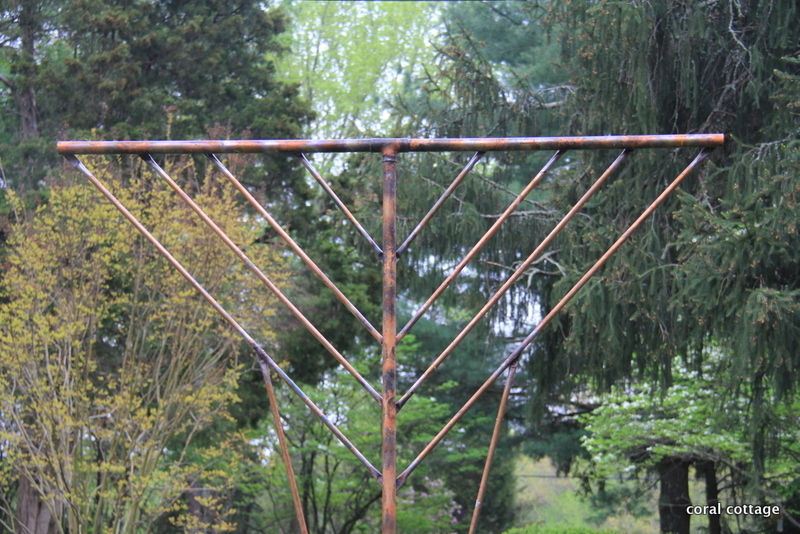 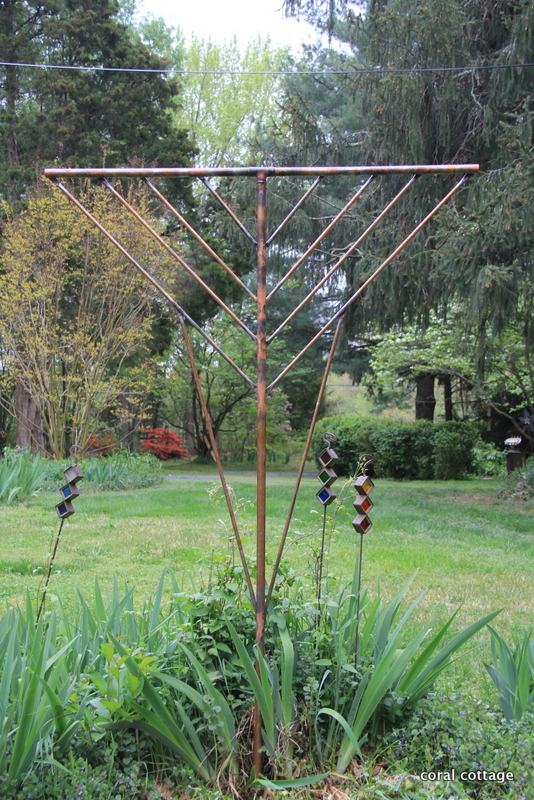 We call it the StarTrek Trellis. 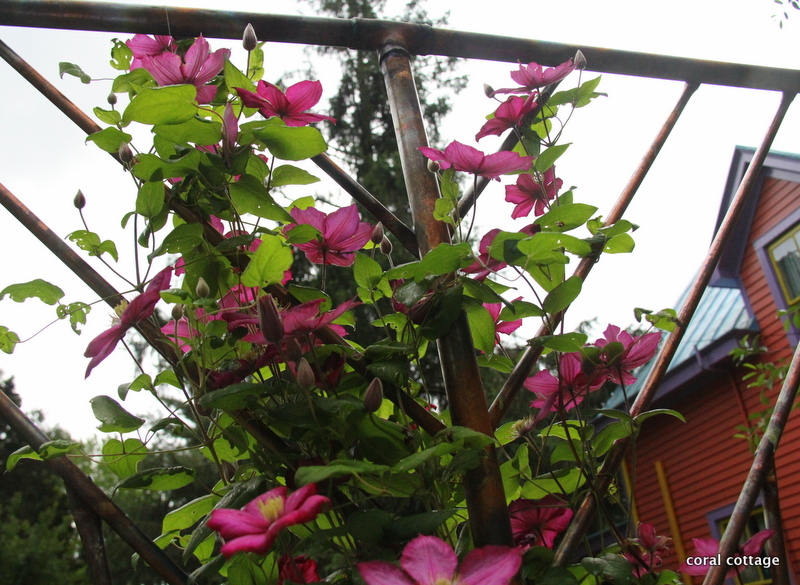 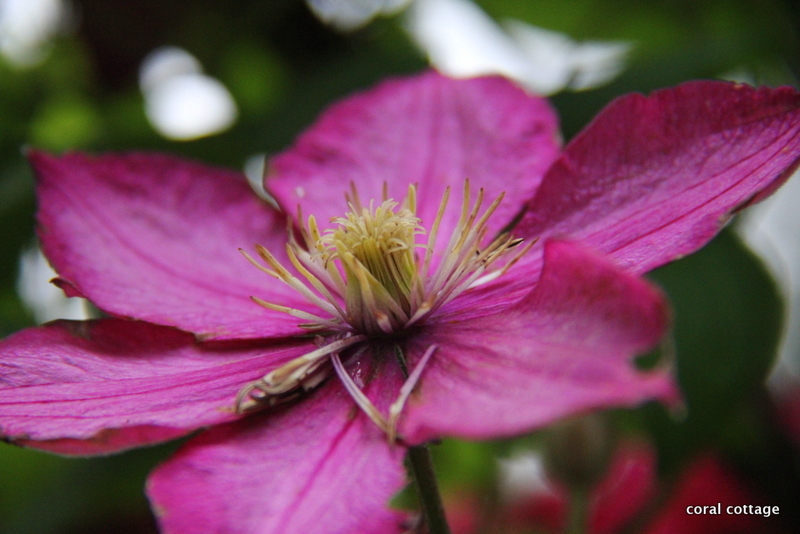 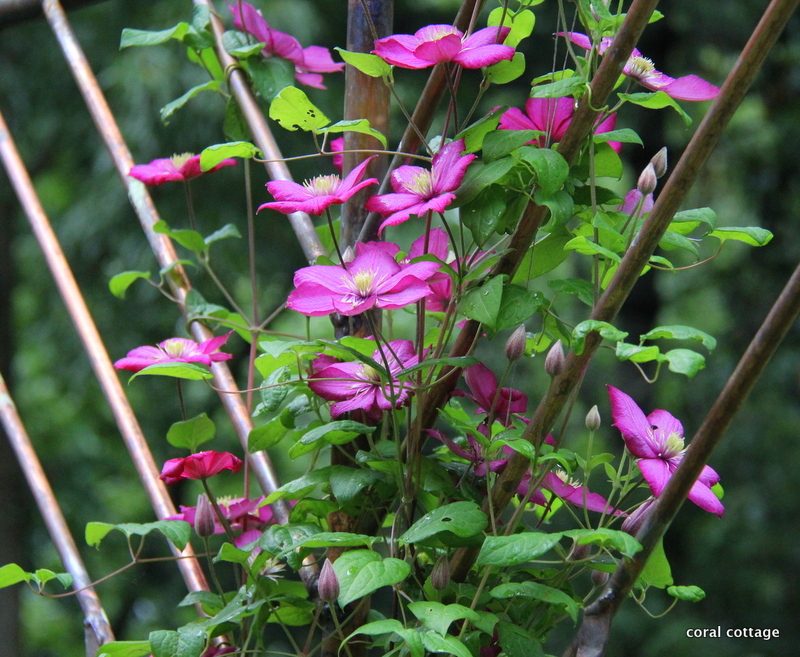 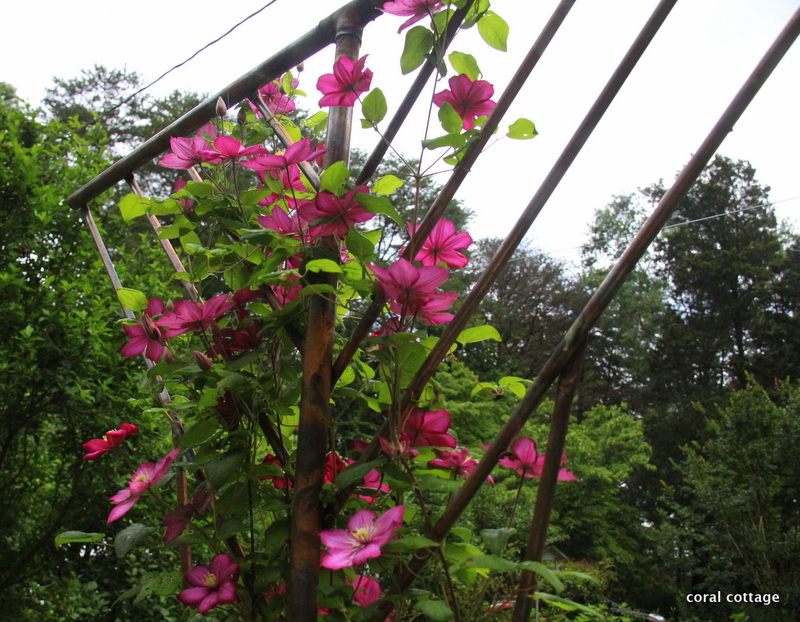 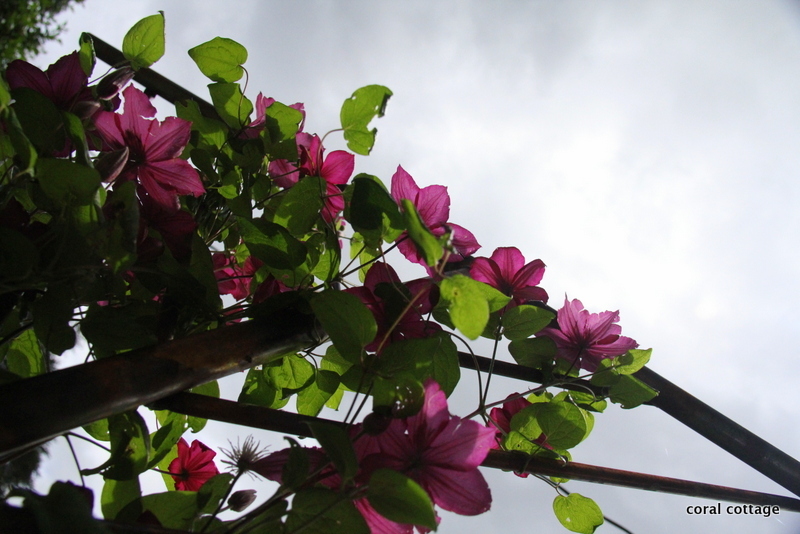 The clematis has sprawled all over the trellis and has reached the top.